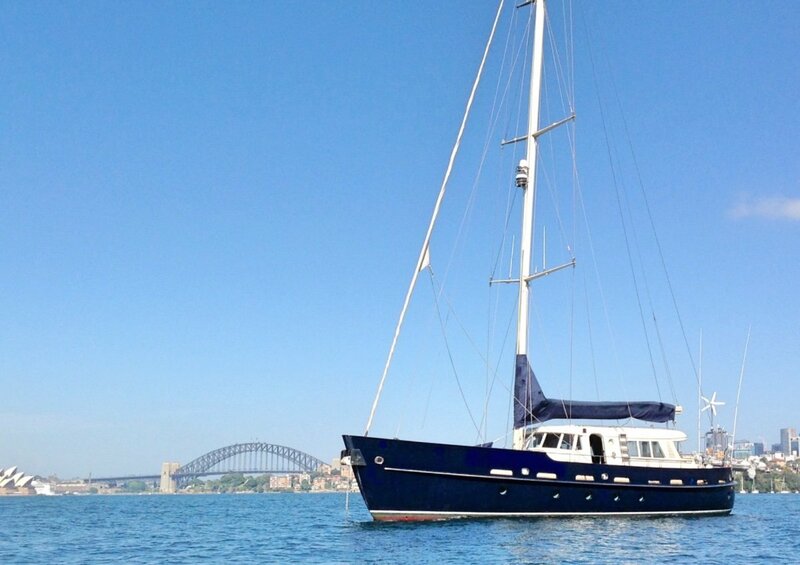 2004 Custom built 65' steel motorsailer, designed by David Payne and built by well-known Dutch yacht builder Maas Marine International Pty Ltd, in Taren Point, NSW AUS. Duyfken II sets new standards in sailing excellence, offering amenities rarely found on board a sailing yacht, maintaining high levels of comfort whilst still offering performance. 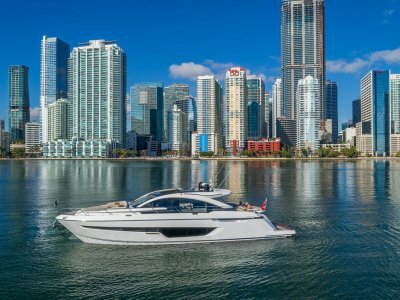 From her one-off exterior design with blue hull and exterior furnishings and details to her extraordinary interior, she can only be described as exceptional. She boasts two levels of lounging, relaxing and dining, and can accommodate up to seven guests in three cabins. Her interior, which is contemporary and clean, features a chic nautical theme. Air conditioning, teak trim, and blue leather furnishings make her inside spaces appealing and comfortable. She has a rounded canoe stern hull with blue painted steel topsides, full painted stainless-steel gunwales with teak laid steel decks and a cream painted aluminum superstructure. ½ length steel fin keel with lead bulb. The vessel was built and was certified to Lloyd's specifications and is eligible to be recommended for Class Notation: Maltese 100A1 Yacht, and included 4 watertight bulkheads. Powered by a single Cummins 300HP, six-cylinder diesel motor with conventional shaft driven propeller. The motor is in excellent condition with only 160 hours running time. She is also fitted with a Northern Lights 10kVa diesel generator replaced in 2014, several Cruisair air-condition units and an ECH2O TEC reverse osmosis water maker. 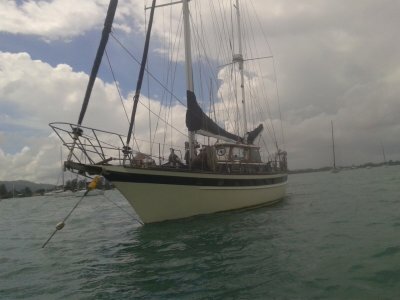 The cutter rig features a triple swept back spreader deck stepped mast with slab reefing main, a boomed staysail and hydraulic furling headsail. The interior accommodation of the vessel has been well constructed to a high professional standard. 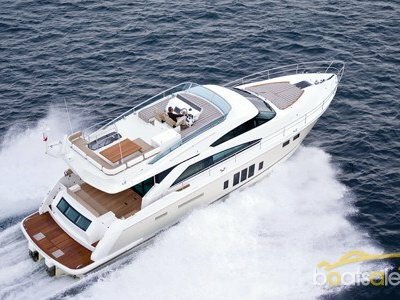 The vessel features a single deck level deck saloon with a dinette to port and a galley to starboard. Forward of the saloon is a full bridge style internal helm and navigation station. Steps lead down to the double master cabin with ensuite heads to starboard and a triple bunk guest cabin with ensuite forward. Amidships is a full beam engine room with access to the aft double berth crew's cabin with ensuite heads. The interior timber work and cabinetry are in good cosmetic condition, structurally intact. 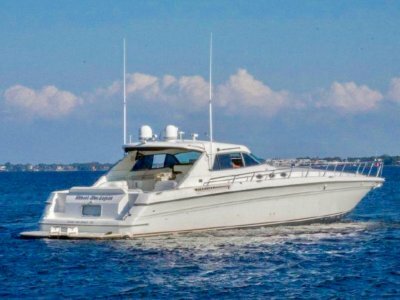 The vessel was fitted with all of the normal onboard services that would be expected on a long-range blue water cruising boat of this caliber. Both of the heads are fitted with electric toilets and a black/grey water holding tank system. The vessel carries 10,000 litres of diesel in two tanks fitted either side of the engine compartment and 9,000 litres of fresh water in four steel tanks located under the lower accommodation sole. This tankage would be sufficient for extensive offshore cruising. LPG system fitted to the vessel was seen to be NSW Workcover compliant. Ideal for families and friends, the immaculate Duyfken II is ready to cruise the world in absolute comfort and safety. Enquiry for a full inventory.